Series/Parallel modules offer the same excellent thermal performance and quality as our other modules but have two separate electrical circuits inside. 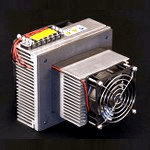 These electrical circuits can be externally wired in series or parallel to switch between low power consumption or high heat pumping when operating from a fixed voltage supply. 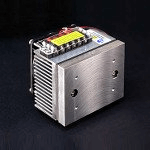 The Vmax (series connection) is also the highest offered and is useful for designing higher voltage circuits with a minimum of thermoelectric modules. Our proprietary “potting” for moisture protection and ruggedizing is available as an option. 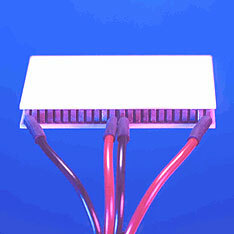 These modules are rated for use up to 80°C.